The research status about purifying impure components of yellow phosphorus exhaust was inves-tigated in this paper. The purification methods such as absorption, adsorption and catalytic oxida-tion are introduced. 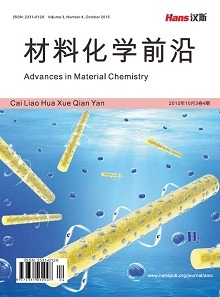 And the catalytic oxidation method has advantages of simple operation, high purification efficiency and easily reproducing the catalyst, meanwhile it has potential values in practical application. Based on these principles, deeply purified technology of yellow phosphorus exhaust can effectively remove residual impurities. And the purified exhaust can be used as ordi-nary industrial raw materials, but there is few deep research on catalyst poisoning and regenera-tion. In view of the practical problems existing in the application of the deeply purified technology of yellow phosphorus exhaust, we combined them with the existing researches and looked forward to the prospect of its application. 陈善继. 中国黄磷生产现状与可持续发展战略[J]. 无机盐工业, 2005, 37(11): 1. 宁平, 任丙南. 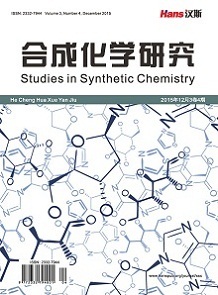 黄磷尾气的综合利用及净化途径探讨[J].环境科学导刊, 2003, 22(b3): 149-151. 梅毅, 梁雪松, 杨亚斌, 等. 黄磷产业的节能降耗与资源利用[J]. 现代化工, 2010, 30(10): 81. 刘兴勇, 张利, 李英霞. 黄磷尾气的净化工艺与综合利用[J]. 2009, 29(8): 74-75. 吴满昌, 宁平, 任丙南. 黄磷尾气净化方法探讨[J]. 云南环境科学, 2003, 22(3): 54-56. 任占东, 陈樑, 宁平. 活性炭法净化黄磷尾气中的硫化氢、磷化氢的研究进展[J]. 现代化工, 2006, 26(11): 25-28. 宁平, 易玉敏, 瞿广飞. PdCl2-CuCl2液相催化氧化净化黄磷尾气中PH3 [J]. 中南大学学报: 自然科学版, 2009, 40(2): 340-345. 程建忠, 张英喆, 张宝贵. 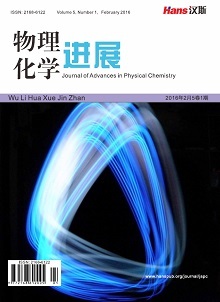 次磷酸钠生产中磷化氢尾气处理技术的研究[J]. 南开大学学报(自然科学版), 2001, 34(2): 3l-34. 张建华. 硫化氢, 磷化氢脱除新工艺[J]. 河南化工, 1995(10): 21-22. 丁百全, 徐周, 房鼎业, 等. 熏蒸杀虫余气PH3的吸收净化研究[J]. 环境污染治理技术及设备, 2003, 4(1): 29-32. 陈中明, 武立新, 魏玺群, 等. 变温和变压吸附法从黄磷尾气净化回收一氧化碳[J]. 天然气化工(C1化学与化工), 2001, 26(4): 24-26. 冯孝庭. 吸附分离技术[M]. 北京: 化学工业出版社, 2000. 吴满昌, 宁平, 任丙南, 等. 黄磷尾气净化处理技术进展[J]. 无机盐工业, 2003, 35(5): 2-3. Xie, Y.C. and Zhang, J.P. (2001) Adsorption Isotherms for PU1 and Its Application in Industry. Proceedings of the Seventh International Conference of Fundamentals of Adsorption, Nagasaki, 561-563. Wang, X.Q. (1997) The Purification of Yellow Phosphoric Tail Gas. Wujulyan Gongye, 2, 40. 宁平, 王学谦, 吴满昌, 等. 黄磷尾气碱洗——催化氧化净化[J]. 化学工程, 2004, 32(5): 61-65. Shakirov, Kh.A. and Mosheyeva, S.B. (1986) Synthesis of Phosphorus-Containing Cellulose Cation-Exchangers by the Interaction of Cellulose with Methyl-, Ethyl- and Phenyl-Phosphoric Acids. Polymer Science U.S.S.R., 28, 1573-1578. 何秀容, 管英富, 赵英. PDS催化剂在黄磷尾气脱硫中的催化活性研究[J]. 天然气化工(C1化学与化工), 2009, 34(4): 59-61. 陈善继. 黄磷尾气的回收利用[J]. 无机盐工业, 2008, 40(2): 52. 宁平, 易红宏, 唐晓龙. 工业废气液相催化氧化净化技术[M]. 北京: 中国环境科学出版社, 2012. 王学谦. 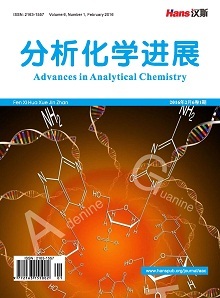 黄磷尾气催化氧化净化新技术研发及理论研究[D]: [博士学位论文]. 昆明: 昆明理工大学, 2007.